Have you ever been stumped when it comes to choosing a red wine? Was it the pinot noir that was light bodied or the shiraz? 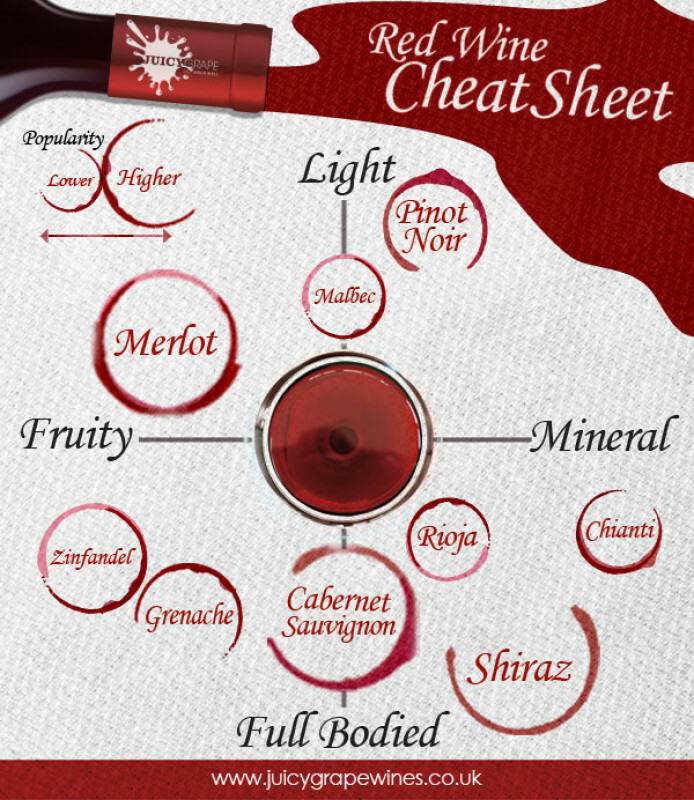 This nifty infographic from Juicy Grape Wines offers the perfect red wine cheat sheet. The infographic categorizes some of the most popular wines like cabernet and rioja by flavor and body. Looking for a medium-bodied red with hints of minerality? Then a chianti is for you. Are fruity wines more your thing? Then pick up a zinfandel. If you are quite new to wine, you may want to print this cheat sheet and tuck in your wallet so it can rescue you next time you buy wine.